Smart phones have become like managing tool for us. Starting from storing contacts, messages to all important documents, multimedia files and what more and what not, everything seems possible today, courtesy a small gadget called smartphone. Well, how about backing up all the data on the phone or keeping the backup on the computer? This way it helps secure the data on a separate storage which can be used whenever your phone crashes or gets formatted. This is likely a case in the process of long usage of smart phone. Hence, having the data backed up is imperative as you do not want to end up losing all the data in any case. This article here will show you some of the best ways to save you from data loss using three different methods on how to backup Android phone to PC. 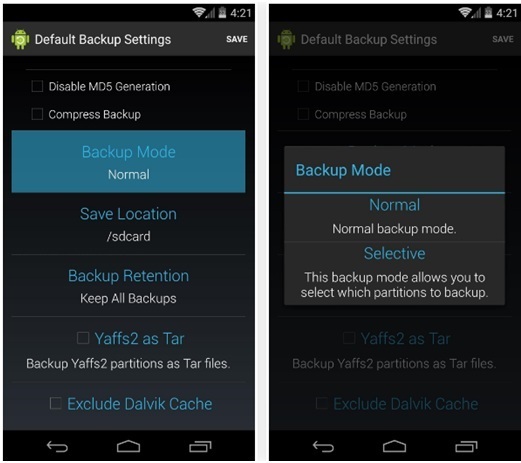 dr.fone - Backup & Resotre (Android) is an amazing tool which can be used to backup Android to PC. With a simple interface, it is a very easy to use, safe and secure way of backing up data. dr.fone runs on computer and hence all the backed data is stored in the computer after the process. 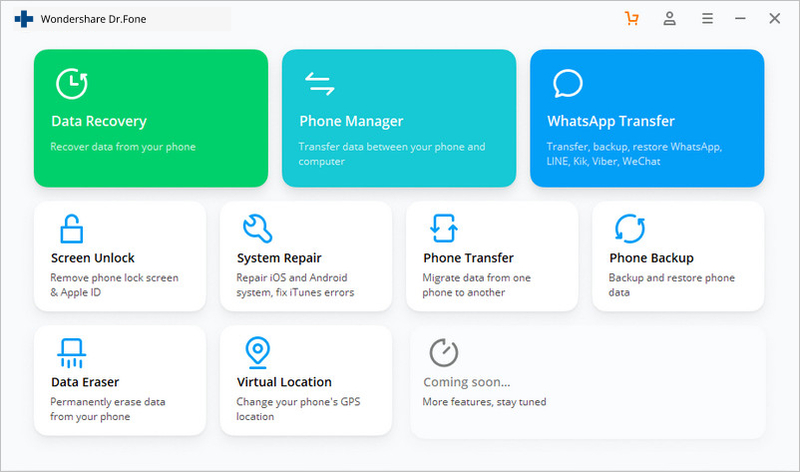 It supports to backup phone data such as contacts, messages, calendar, notes, videos, gallary, call history, and even application, etc. Install and launch the program on the computer for Android. Out of the various tools present on the interface of the program, select “Backup & Restore”. Now, connect the Android device to the PC with the use of a USB cable. Make sure that USB debugging mode is enabled on the device. You might find a pop up screen as well on the Android device asking you to enable USB debugging. Tap on “OK” to enable. It is time now to select file types to back up. After the phone is connected, select the file types as shown below in the picture, to create backup. By default, you will find all the data types selected. So, uncheck the ones which you don’t want to backup and then click on “Backup” button to start the process. The process will take a few minutes. So, make sure you do not disconnect the Android device or use it during the process. You will be able to view the backup files and what is in them by clicking on “View the backup” button, once backup is done. This process is very short and simple and preferable for normal Android users. One of the advantages of using this solution is that it supports a wide range of Android devices and does not require any rooting or any other step of that measure, making this process extremely simple and suitable. Step 1: Turn on the Android device and enable USB debugging. To enable USB Debugging on the device, go to “Developer option” by getting into “Settings”. Step 2: Now, use a USB cable to connect the Android device to the computer to transfer media files. Now enable “USB for file transfer”. Step 3: Now a window will open on the computer screen where you can have access to the internal storage of the phone as well as the SD card storage, if the phone has one. Step 4: After you have got complete access to the phone's internal and external memory i.e. SD card, you can copy the data or media files and paste them on to the computer memory. You may even drag and drop the files to the computer to transfer. When the file transfer is completed, eject the Android device or disconnect it from the computer. 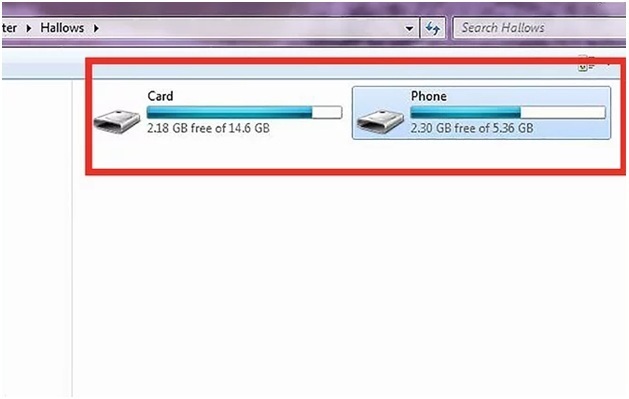 This is one of the easiest ways to transfer files from the phone to the computer. Moreover, this process is absolutely free. 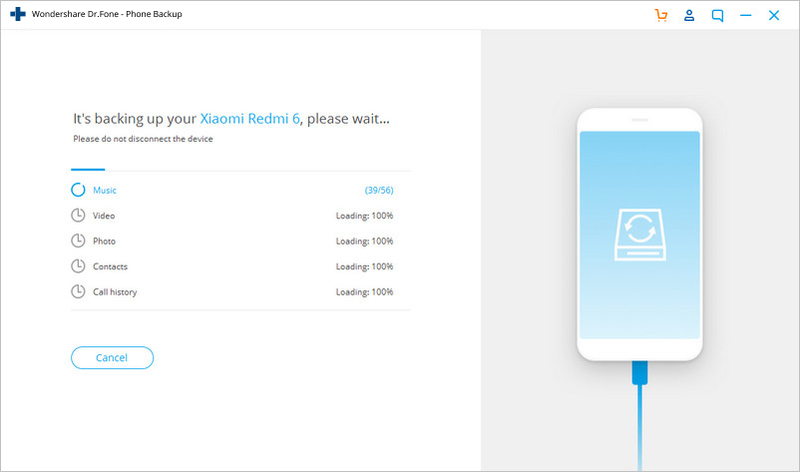 However, while this process just requires you to connect the device to the computer making it extremely easy, it is not a comprehensive method to backup everything on the Android device. This works for only media files backup and does not support backing up other file types. 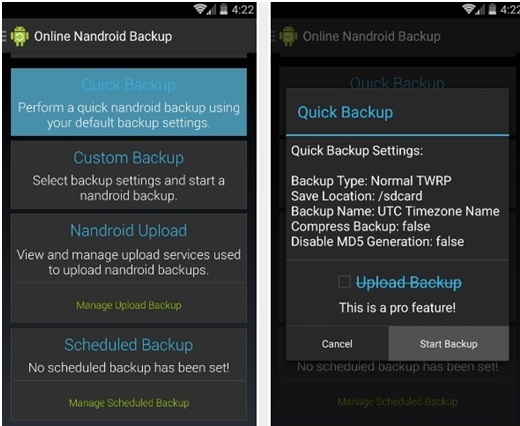 Nandroid Backup method is a way in which the device’s NAND memory data can be saved or can be created a copy of. While this is a great method to create backup for all the data on the Android device, this method requires the device to be rooted. So, it is important to be diligent while carrying out this operation as this method carries a potential risk for the data saved in the device as well as the phone's operating system. It is required to root the device before backing it up. Here is how you can the backup of all the data in the Android phone to PC using Nandroid. Step 1: Go to Google Play Store and install “Online Nandroid Backup” on the Android device. 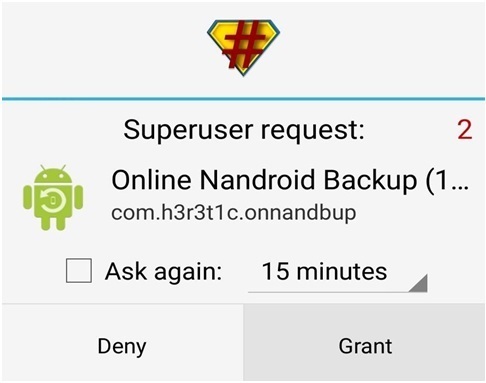 Step 2: When you open the application “Online Nandroid Backup” for the first time, it will ask for Superuser privileges. Grant all privileges. Step 3: You can now start the backup process and there will be a few backup options to be configured. Now, choose the “Backup Name”. 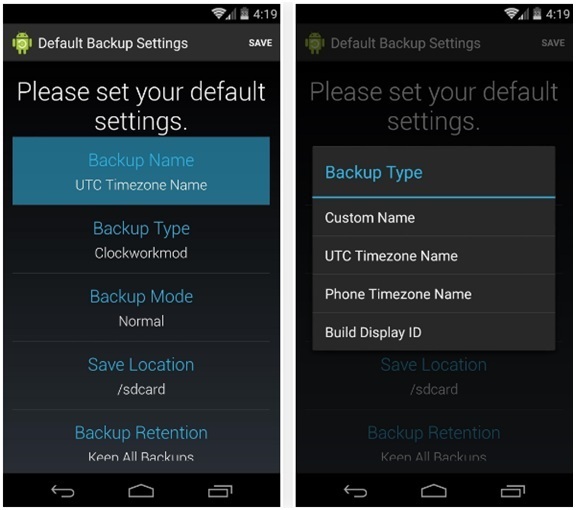 You can choose here as to how the Nandroid backup is to be labeled. The default option is “UTC Timezone Name” label as it is based on the date on which the operation was performed. Step 4: Now, choose a Backup Type. 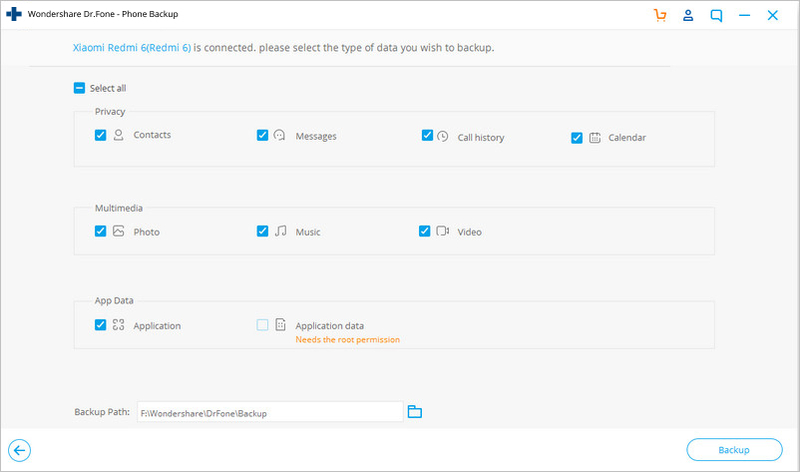 Here you can choose a format in which the backups will be saved. By default you would find “Clockworkmod” set as the Backup Type. 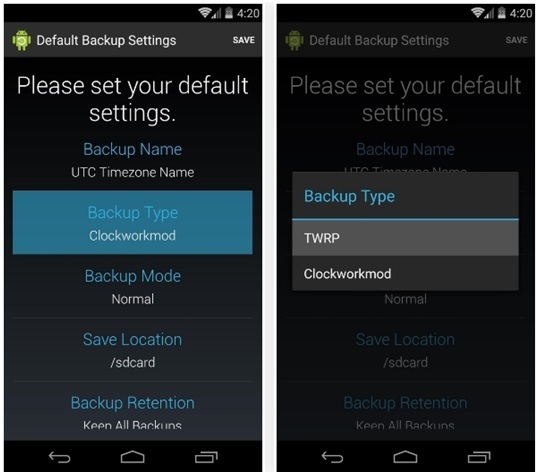 If you require TWRP, then set that as the “Backup Type”. 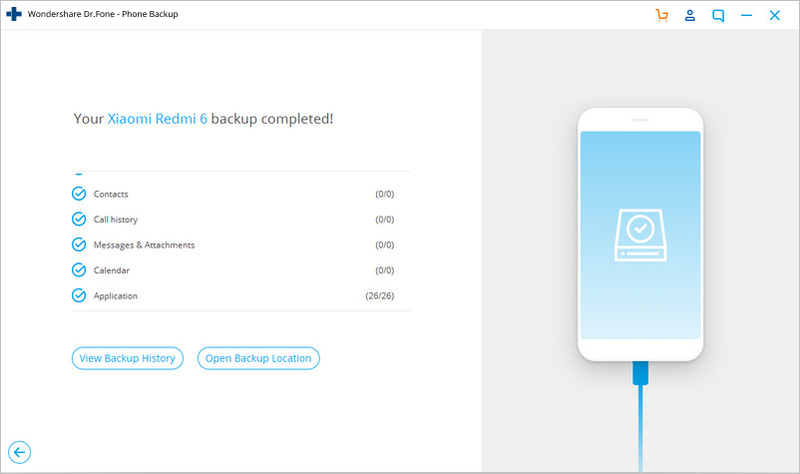 Step 5: Choose the “Backup Mode” now which helps to choose which partition to start backing up with the Backup Mode. By default, you would find it set as “Normal” which is ideal. 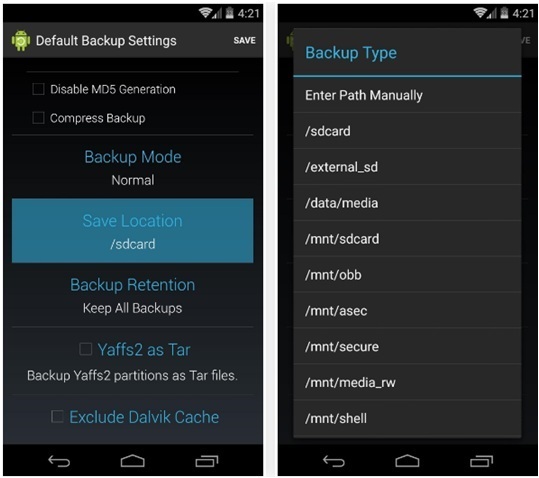 Step 6: Now, choose a location for the Nandroid Backup file to be stored at. Make sure that you remember the location you set here. 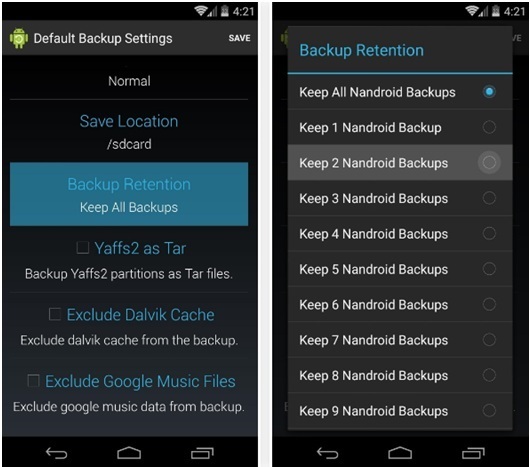 Now you can also choose how many Nandroid backups you would like to be saved before the older one is overwritten. Keep it to 2 preferably. Now, save the changes made in the configured settings and go ahead with the backup process. 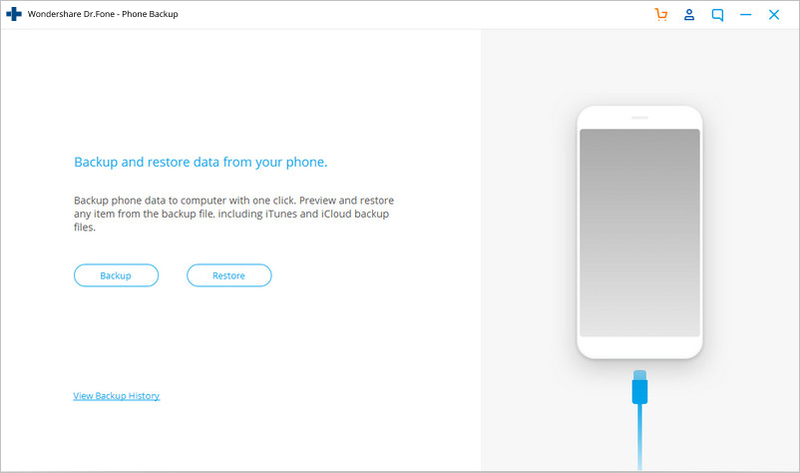 Step 7: To perform backup, tap on “Quick Backup” from the OLB’s main screen and select “Start Backup” on the confirmation dialog that shows up. The backup process now will take some time to finish. The backup files can be copied from the SD card and saved on the computer. Since the backup is already created and stored in the SD card, the backup process does not require a computer. But this process requires a root access of the Android device and should be chosen if you are already aware and comfortable with rooting the device. This is not a common method for everyone to go for. So, these are the ways in which you can backup Android data to PC in minutes. All the methods require certain level of skill. So, you can choose the one according to your requirement and comfort. This article focuses on telling you what is Android ROM and firmware and how to backup Android ROM and Firmware. You may need to opt in for Android auto backup. So it's important to learn the thing. In this post you'll learn this matter. We are going to share different ways that how you can backup photos on android mobiles through this guide. With the number of apps currently available, it is important for Android device users to understand and adopt quick methods to initiate an Android app backup. This article intends to introduce you to the 5 top solutions for backing up the messages on your Samsung phone.